This afternoon I decided to tackle a few jobs that needed attention. But first I put some corn bread in the oven and had some ham hock and bean soup. Then I dealt with all the ripe garden tomatoes on the counters–sorted and cut them up to freeze. Also the green peppers. Then I cleaned out all the bins at the bottom of the fridge to make room for the apples I picked last week. Found lots of scary stuff. Soaped everything down. 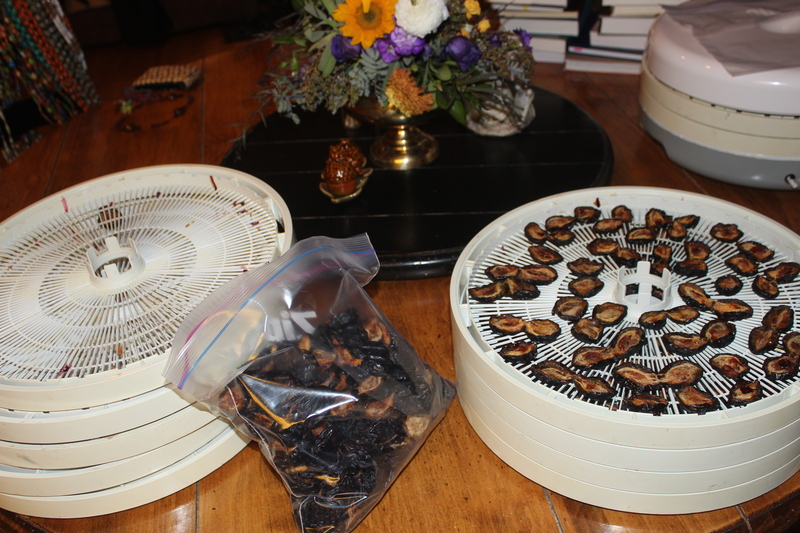 Then I boned a chicken I was stewing for soup and then I bagged the plums that have been dehydrating. After that I cleaned the microwave and started scrubbing out the oven. “You’re right,” I said, I’m not myself. So we sat down and together ate some cornbread with lots of butter and honey. I felt much better after that.